Put the rest of the salad in to a big mixing bowl, Season with salt. Fry the chicken till it’s cooked through and no longer pink inside. 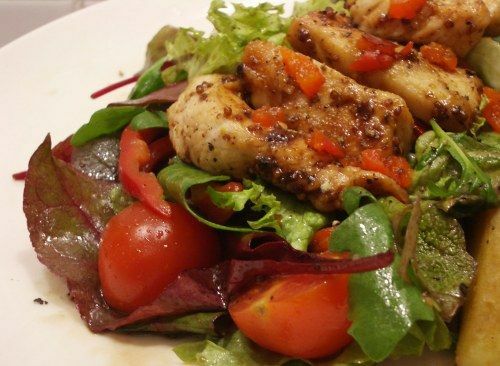 Season the salad with extra virgin olive oil, balsamic vinegar and freshly ground black pepper. Serve with the chicken nicely nestled ontop of the leaves!